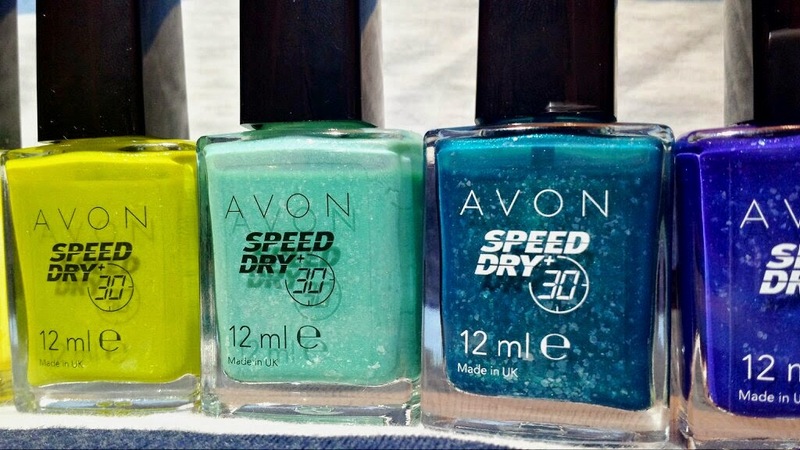 Avon’s Speed Dry+ nail polish is a pretty self-explanatory product. 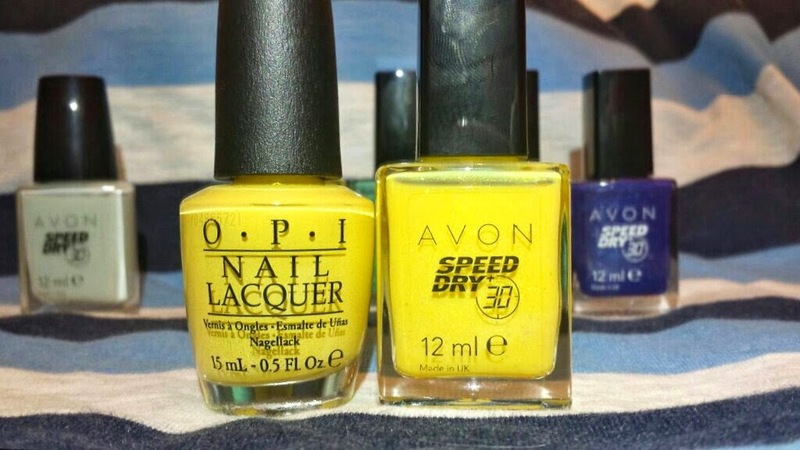 It’s a nail polish that claims to dry quickly - 30 seconds in fact! Being a mum who loves nail polish but is strapped for time, this is the exact type of product that is going to catch my eye. The overall range consists of 20 shades featuring cremes, glitters and pearlescent finishes. I snapped up six bottles of the collection - Lure, Shipwreck, Yellow Mystique, Sprightly Mint, Trance and Underworld. Five of these six are colour with added glitter. Sprightly Mint is the exception, being a creme finish. Sprightly Mint is an incredibly pale mint green shade. At first glance it may be mistaken for a white, but the slight inclusion of the mint green makes this a beautiful, pale-pastel shade for the warmer days. This polish is really sheer. It is a definite three-coat minimum polish and that is if the last coat is a little thicker. The first coat applies really streaky, but then the second looks less so with the third coat creating a beautiful opaque shade. In regards to the drying time, the first coat dries really fast. With each coat, the drying time decreases. Therefore, with this polish needing so many coats, you will be waiting a good few minutes (around 7 for me) instead of a few seconds for this shade to be dry enough to touch. The good thing about the speed dry is that you don’t need to wait long in between coats! Yellow Mystique is a pale yellow with glitter flakes and micro glitter for a pearlescent addition. I had at first expected this to be equally as sheer as Sprightly Mint, but it was less so. It is a two coater, which is great for a yellow! The first coat does apply pretty translucent, but by time the second coat is applied you have a great opaque polish. 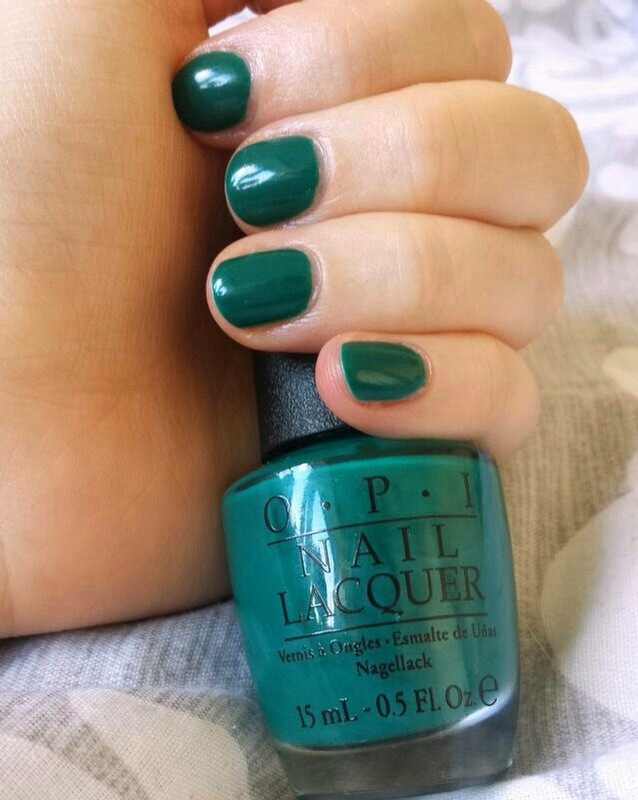 The overall drying time of this polish was faster than Sprightly Mint, coming in at around 4-5 minutes. The first coat was dry very quick, but as before, the drying time decreases with each coat applied. 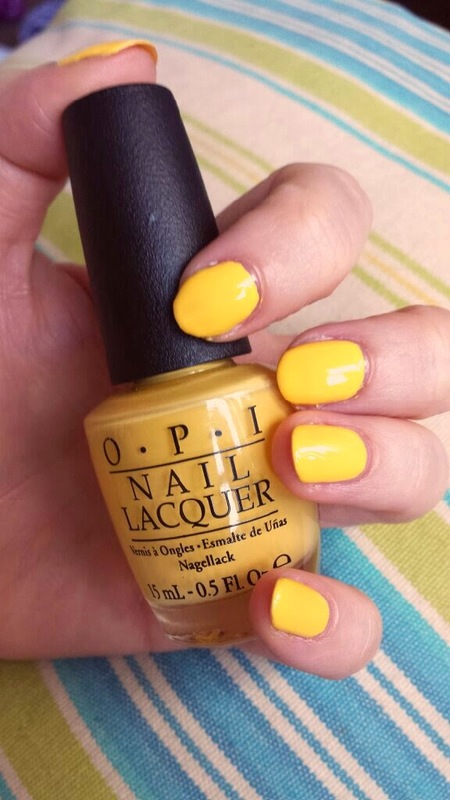 To me, this shade reminds me of OPI’s I Just Can’t Copeacabana from the Brazil collection. 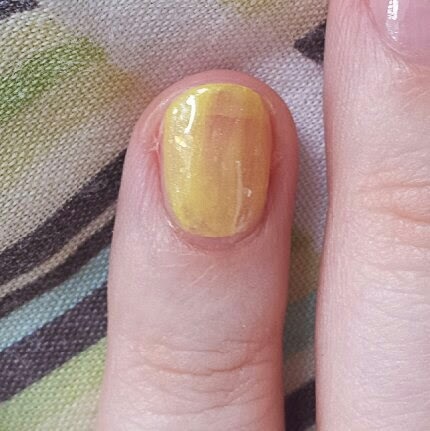 The difference between the two is that Yellow Mystique has the inclusion of glitter whereas I Just Can’t Copecabana is a creme. For more info about I Just Can’t Copeacabana, please check out this post! Shipwreck is a difficult colour to describe properly. It is a bright, lime green, but at the same time has a slight dullness to it that doesn’t make it feel that ‘bright.’ It is a slimy green, but without looking slimy. It is like a bright lime with the saturation turned down a notch and a little yellow added. Oh, and it has micro glitter for that pearlescent effect as well as the chunky, flaky glitter. I honestly do not own another shade like this one! The best thing about Shipwreck though was the fact that it was surprisingly very close to being a one coater! 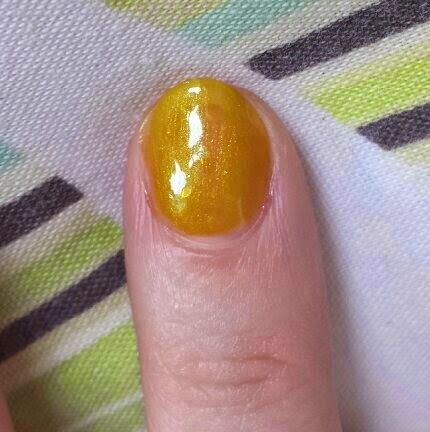 However, there was a slight translucency to it that made me feel that a second coat was necessary. This polish actually comes in as the fastest drying of the whole bunch. With the two coats, I found my nails to be dry within a couple of minutes. The first coat was the closest to the 30 second mark out of all of the first coats, too. Trance is a bright mid-blue/turquoise shade with glitter flakes and again, micro glitter for a pearlescent look. 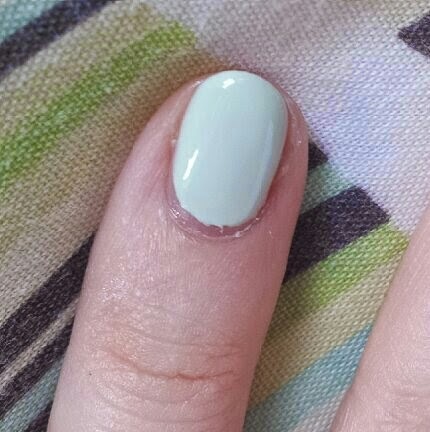 This polish comes up second to Sprightly Mint in regards to its sheerness. 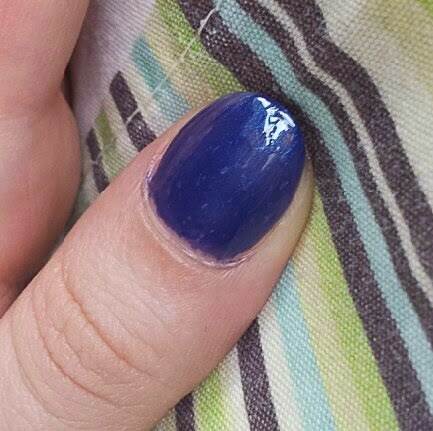 This shade needs two coats minimum for an opaque finish, but I would recommend three. Therefore, the drying time of this polish isn’t the fastest, but it still isn’t quite the slowest either. I only used two coats for the photos below, but as I said before, I would recommend three. 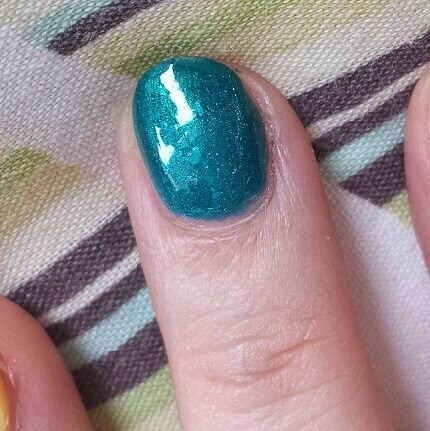 I don’t currently have a swatch of Aquadelic, but I will sort one out and update this post when I do! Lure is a glittery teal shade, featuring, once again, glitter flakes and micro glitter. I found that this polish is able to provide full coverage in two coats. It also comes up second to Shipwreck in regards to drying time, only taking a short while to fully dry. This is the shade that I found to be similar to a few others in my collection. 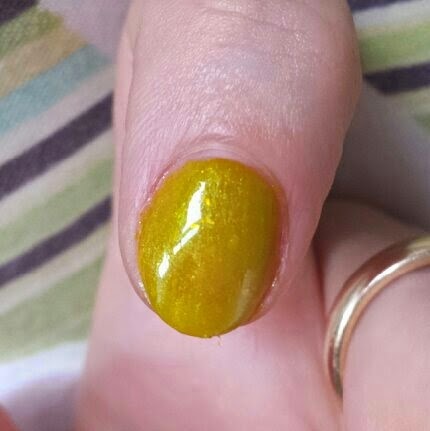 Mostly it reminds me of OPI’s AmazON AmazOFF, also from the Brazil collection. This is primarily down to the shade as AmazON AmazOFF doesn’t have chunky glitter in the formula. In addition to that, I found Sinful Colors Nail Junkie to be very similar in shade also, but even though it includes glitter, the type, size and colour of it does differ between the two. Nail Junkie has multicoloured, chunky glitter whereas Lure has holographic glitter flakes and appears sparsely throughout the polish. 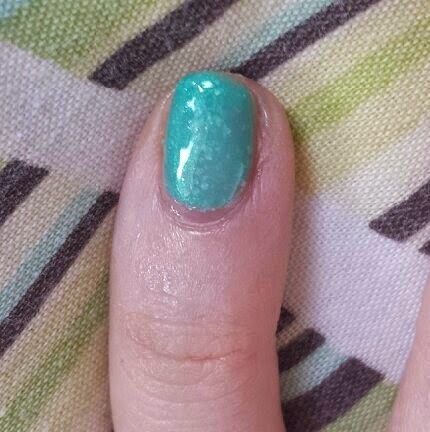 Finally, I was also reminded of a previous Avon nail polish from a few years back - Sequined Turquoise. 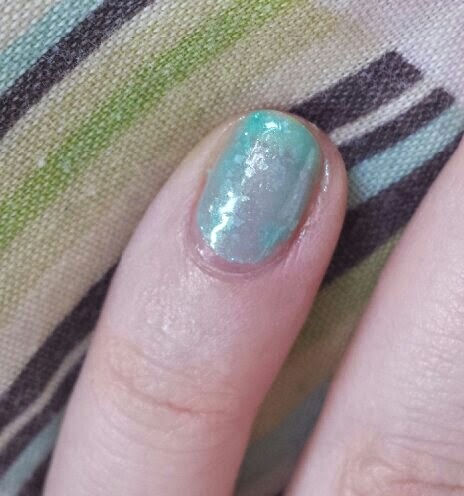 The shade again is very close, but the glitter in this is all silver, green and finer. For more information about AmazON AmazOFF, please check out this post! I will try to get swatches of Nail Junkie and Sequined Turquoise up soon! Underworld is a deep blue coloured polish with glitter flakes and micro glitter. This shade is also very close to being a one coater. 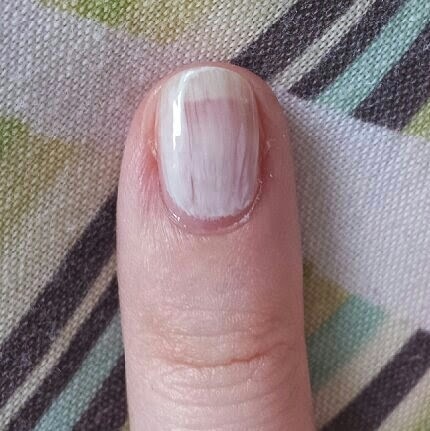 However, if you don’t like having visible nail lines (where you can see the white part of the nail through the polish), then you may need a second coat. This is going to be dependent on how thick you apply your coats. I tend to apply mine thinly, so I went with two. 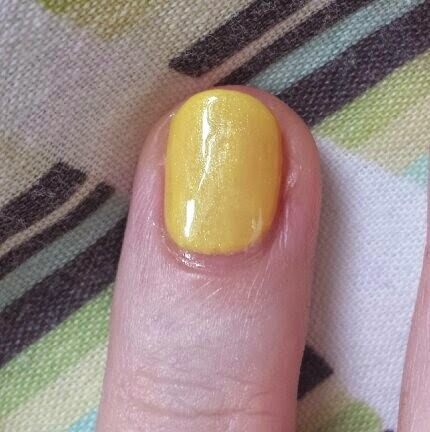 For me, this shade hit dead centre on the drying scale. Alongside it was Yellow Mystique. I found the formula of the glitter polishes to only be awkward to use when it reached the end of the nails. 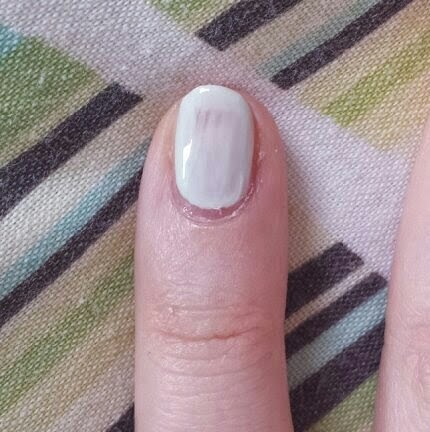 Sometimes the flakes can get stuck and lump up at the nail edge, which can be irritating if left there to dry. If the glitter flakes do dry there then your nail edges may be quite scratchy, so I advise to just take an extra second to remove those flakes whilst the polish is still wet. The shades that dried the fastest are the shades that use the least coats. 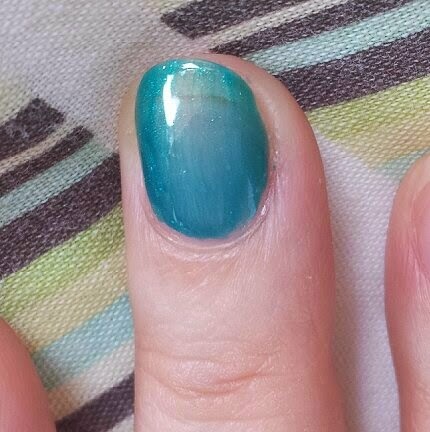 I found that for a fully opaque look and fast drying time, Shipwreck and then Lure were the best. Opaque in two coats, the drying time was also quicker than another two coater of the bunch; Underworld. Following Underworld, Yellow Mystique was also in the middle of the drying scale. Rounding up the end, therefore being the slowest at drying, were Trance and then Sprightly Mint. As already explained, the more coats needed, the longer the drying time. When the first coat of each polish was applied, the drying times were all pretty much the same. Whilst not quite 30 seconds, the drying time for me with one coat was around 1 minute. But in all honesty, that’s not bad going! It does help the whole nail painting routine go far faster, so for that I am thankful. I didn’t use my dry fast top coat on top of these polishes so that I could assess the drying time properly, and I found that it took roughly the same amount of time for the Speed Dry+ polish to dry as it does when Seche Vite is applied. Therefore, if you aren’t a fan of using a dry fast top coat like Seche Vite, then this polish may be up your street! If you do use a dry fast top coat, this will allow you to save some for next time! I think that the range includes some rather beautiful shades. The ones that I purchased caught my eye for Summer, being cool and bright, and I think that the shade combination looks fantastic together, all ready for nail art! There are warmer shades though too, featuring reds, purples, pinks, peaches, white and so on and so forth! For busy mums and women who love nail polish, this range is a pretty good purchase. I personally prefer the Gel Finish range for the formula, but the glittery shades in this collection are just so beautiful! You can purchase each shade of polish for £6 from Avon, but every so often they are on offer through the brochure! 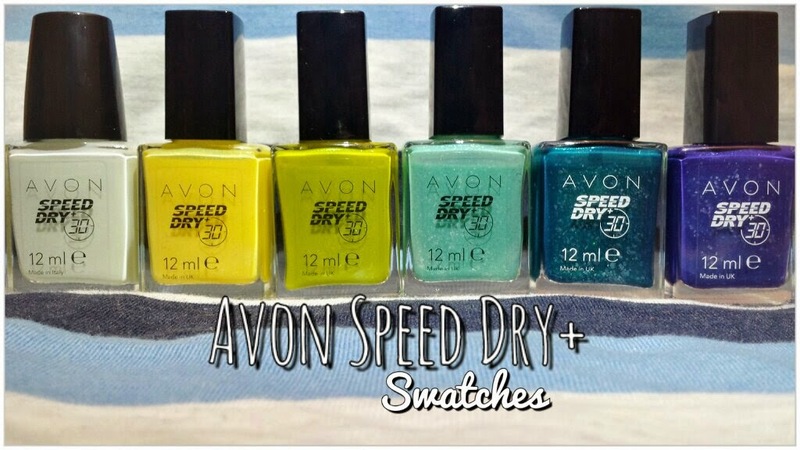 What do you think of Avon's Speed Dry+ nail polish range? Do you own any shades? such beautiful colors! 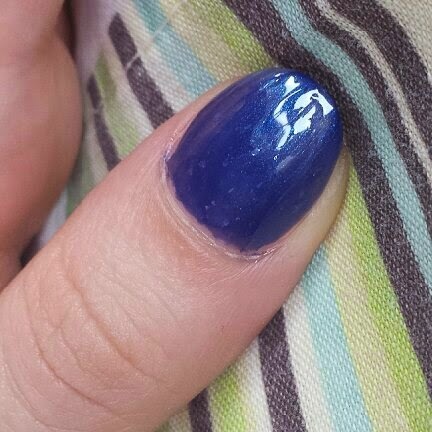 I don't own any shades of this brand yet, but I really like how the polish looks after the third coat.